Federal Healthcare Investigation Attorneys - Oberheiden, P.C. 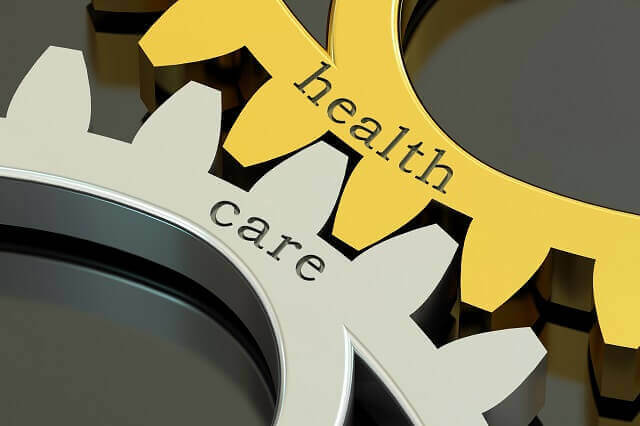 Healthcare companies face constant scrutiny from the federal government and are frequently the target of federal investigations. These investigations may be civil or criminal in nature and can cover a broad range of issues: from fraud or false claims to kickbacks or other prohibited financial arrangements, controlled substance violations, and many others. Most serious federal investigations will progress for some time (months or even years) before the target becomes aware that they are under investigation. Federal investigators are not required to inform you that an investigation is ongoing and generally they will not. They often start their investigation far from the target, gathering evidence and interviewing witnesses that the target is unlikely to notice, and only later approach the target directly or ask it to produce documents. How you learn about an investigation may give you and your attorney valuable information about the progress of the investigation. If you learn of an investigation by receiving a target letter, or grand jury subpoena, or by being the subject of a raid, the investigation may be in advanced stages. In contrast, if you learn of an investigation through word of mouth (e.g. an ex-employee or old business partner tells you that federal agents asked them questions about you) then you may have discovered the investigation in an earlier stage. Regardless of how you discover that your healthcare business may be under federal investigation, your first step is simple: hire an attorney. Most owners of healthcare companies understand that they need an attorney if they receive a target letter or grand jury subpoena, or if their business is raided, but many wait to hire an attorney if they only suspect an investigation. You may hesitate for a number of reasons: You may be unsure if the rumors are true. You may not know if you are a target of the investigation or just a witness. Or you may hope that the situation will blow over without action on your part. Regardless of the reason, ignoring a federal investigation is almost always the wrong decision. Until you hire an attorney and begin taking proactive steps to prepare your defense, the government will freely prepare its case against you and your company. The government always has a head start: When you first explain the situation to your attorney, the government will already know certain details of your business, the identity of some potential witnesses, they may already have access to your bank records, and they may be preparing your friends, co-workers, employees, or business partners to gather evidence against you. That is an important advantage, and if you suspect an investigation is underway and choose to wait, you are letting that advantage grow. Give your attorney the most time possible to catch up and to make sure that you are in the best position possible to defend yourself. The early retention of counsel is one of the best indicators of success in a case. Make sure you choose the right attorney. Go to a firm with defense experience and experience with federal healthcare investigations. Federal investigations are very different from investigations by state agencies, and if your case goes to trial, federal court has its own procedures and rules. Make sure that whoever you choose has the right experience. Depending on the circumstances, your attorney may reach out to the investigators or the AUSA working on your case. Your attorney will want to learn as much as possible about the case. They will try to determine the subject matter of the investigation. You may already have some idea, but clients are often surprised to learn the issues that the government is most interested in, and it is always helpful to understand the government’s perspective on those issues. Your attorney will also try to determine whether you and your company are targets or just witnesses in the investigation and whether it is a civil or criminal matter. The answers to these questions will affect your strategy going forward. Interfacing with the government through your attorney allows you to gain valuable information about the investigation without subjecting yourself to questions that could result in you making damaging statements and admissions. Your attorney may make you available to interview at some point during the investigation, but speaking with federal agents without an attorney is not in your best interest. Federal agents have years of interview experience and you are at an inherent disadvantage: You do not know what laws they are investigating, what they have been told by other witnesses, or what evidence they already have. Any inaccuracy or misstatement on your part could have devastating consequences on your case. It is better to wait until you are prepared and informed. Your attorney can likely undo any damage caused by initial hesitance to speak with investigators, but they may not be able to repair the damage caused by statements the you may make without representation. Along with federal agents, refrain from discussing the investigation with others. If a business partner calls or meets you and asks you questions about the investigation, they may be recording the conversation for the government. Even if they are not, the government could call them as a witness to testify about anything you tell them. It may be your instinct to try to fix the social or business consequences of an investigation by explaining it, but remember that it is the government’s burden to build its case against you. They do so by using facts, data, and your statements. Don’t give them any more material. If you have to make statements to certain people for business purposes, your attorney will assist you in preparing those statements. Your attorney will prepare your business for an investigation. Healthcare law creates a complex and often-times confusing morass of rules and regulations. Even if compliance has always been an important priority to you, there are things you could do better, mistakes you can correct, and better policies and procedures you can put in place going forward. When you know that federal agents are going to be looking at your business with a magnifying glass and fine-toothed comb, you should strive for perfection. Measures that may have seemed cost-prohibitive in the normal course of business become wise investments when your livelihood and liberty are in jeopardy. Your attorney will put a litigation hold in place to ensure that documents and other evidence are not destroyed or altered. Then, they will provide you with improved compliance documentation. They will provide your staff with compliance training. If there are questionable business deals in place, they will instruct you to terminate those deals. They will review relevant policies and procedures and instruct you to make changes where necessary. You may need to repay certain payments, and you may need to make personnel changes. Some owners feel paralyzed to make compliance changes when they know they are under investigation because they fear that any changes will highlight or be seen as admissions of past misconduct. But in fact, such changes are almost never used against you and can help support your attorney’s explanation of why mistakes, if any, were made in the past. Be honest with your attorney; tell them your most problematic issues as soon as possible so they have as much time to prepare for your defense as possible. You do not want your attorney to be surprised. Your attorney may want to interview employees, and you should assist them in identifying those with the most relevant information. These interviews serve multiple purposes including gaining information about the conduct and operations of the business and establishing the statements of potential witnesses. The federal government is increasingly aggressive in its tactics to get evidence of misconduct. Sometimes employees are explicitly or implicitly threatened with liability if they do not testify against the business or their employer. By interviewing employees early, your attorney can attack their credibility if they do change their story later on for any reason. Your attorney will coordinate with your IT staff for access to emails and other electronic evidence. Where relevant, you should assist your attorney in getting access to bank records and other documents. Often the strongest evidence for or against you will be the electronic and paper documents and you should assist your attorney in gaining access to those as soon as possible. If you suspect that your healthcare company is under investigation by the federal government, you can contact Oberheiden, P.C. for a free and confidential consultation. Our former federal healthcare prosecutors and veteran defense attorneys bring a stellar reputation and a wealth of knowledge to every client we represent. Our attorneys are standing by seven days a week – including weekends – to answer your questions or discuss how we may be able to help you in our case.